HAT WITH RACCOON FUR POMPOM © Irene & Mr. Sheep Co.
Faux Fur Embellished Scarves © LANG Book № 200 CASUAL, yarns: Lang Softhair (equivalent: Luzia) and Merino 70. 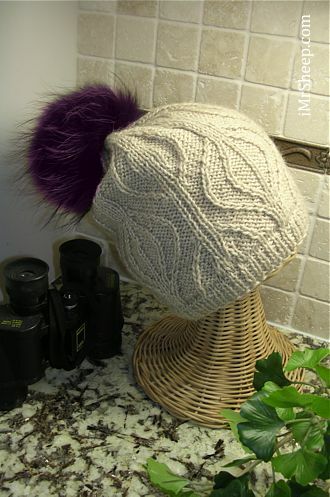 MUFF © LANG Book № 224 COLLECTION, yarns: Lang Softhair (equivalent: Luzia), Merino 70, and Mohair Luxe. 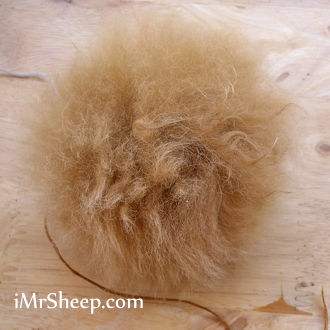 Please be advised: Fur Pompoms are shipped within North America only. We sincerely apologize for any inconvenience this may cause. Refunds are issued, a cancellation fee of $1.25 is deducted from refunds. 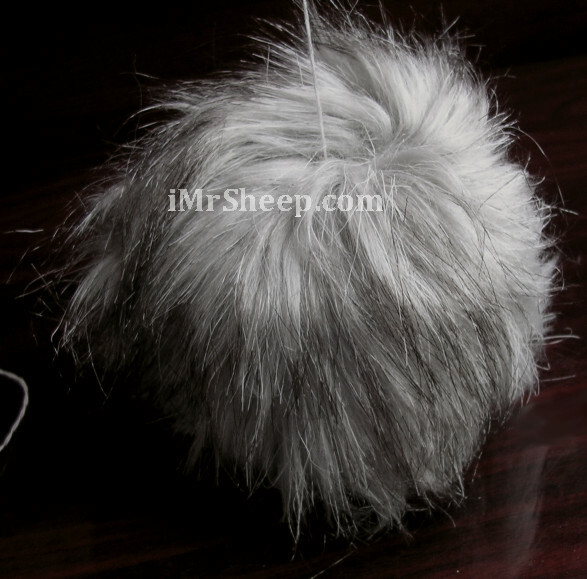 Note: RACCOON FUR POMPOMS restock in JUNE-JULY, col White, Grey, Black. Price (CAD): $19.99 /each. * Sizes: approx. 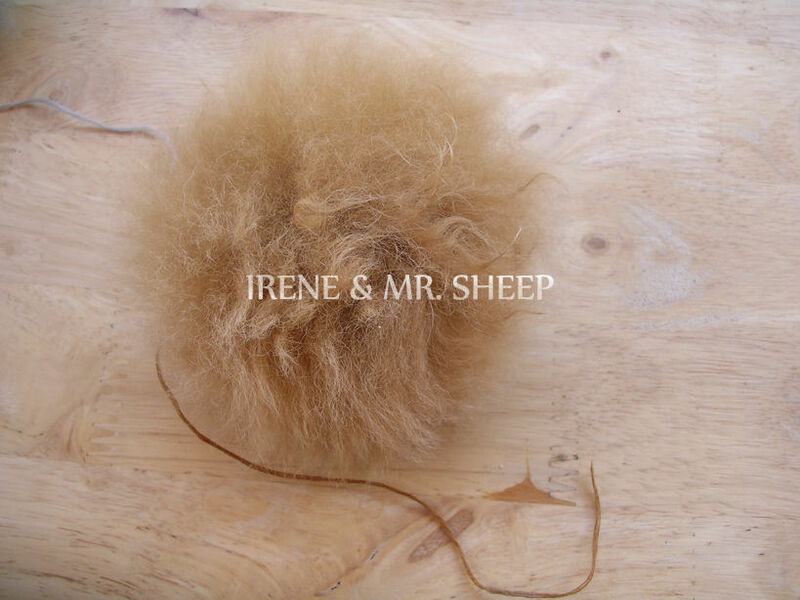 9-10cm (4") or 12-13cm (5") in diameter. 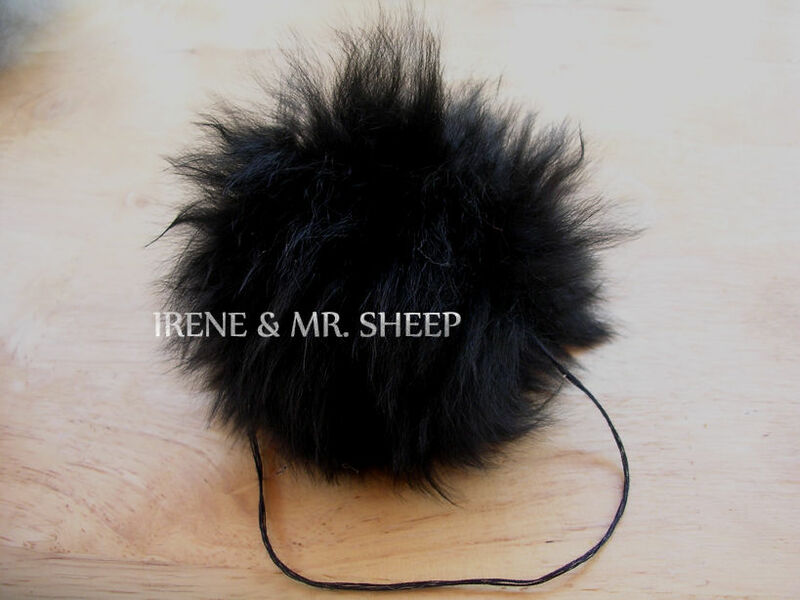 These sewn pompoms are made in Peru from the skins of young alpacas which have unfortunately died through natural causes. 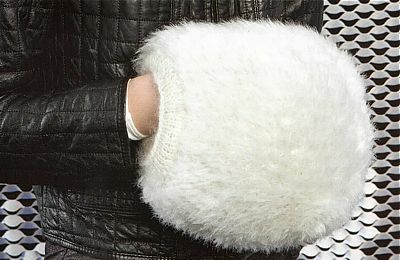 A sewing thread is attached to each pompoms. 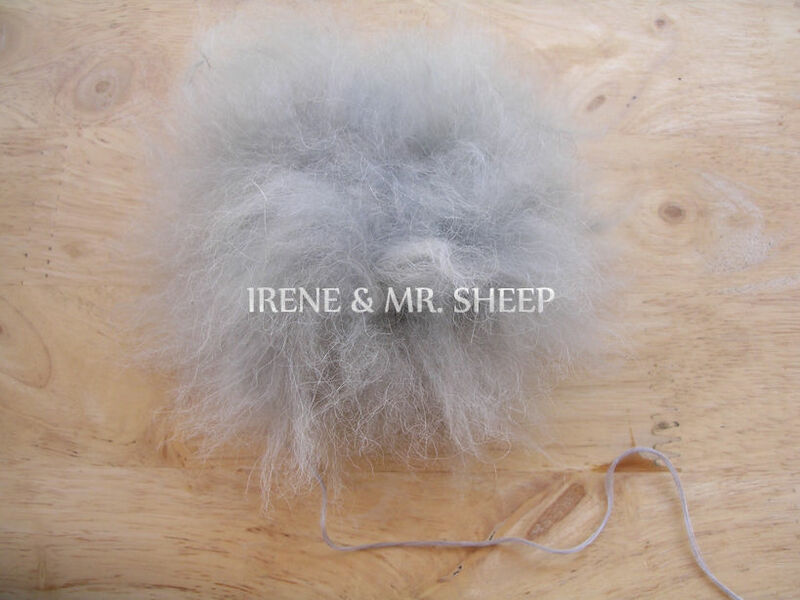 Fiber content: 100% Natural Alpaca Fur. Two sizes: approx. 10 cm (4") or 12-13cm (5") in diameter. Filling: 100% Cotton. 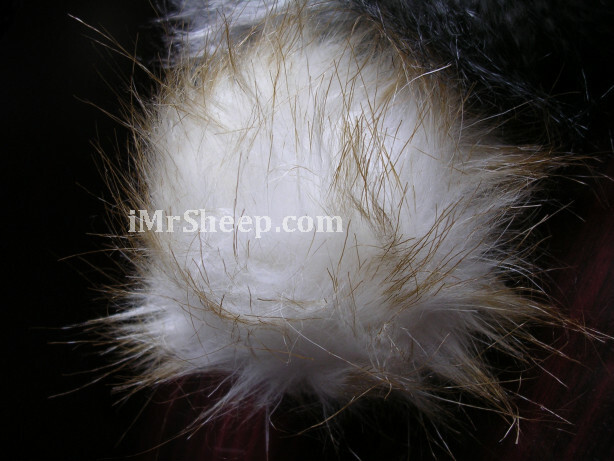 Care: dry clean or professional fur care. Usage: hats, poncho ties, scarf/stole/shawl edge embellishment. * Size: approx. 10 cm (4") in diameter. 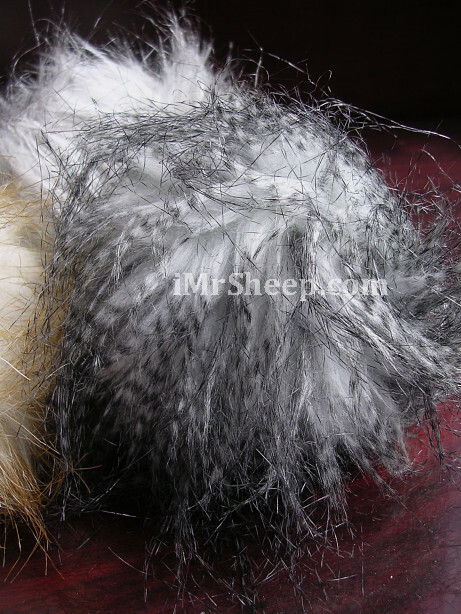 Colour samples: Col 22 » Col 23 » Col 32 » Sewn pompoms made in Germany. 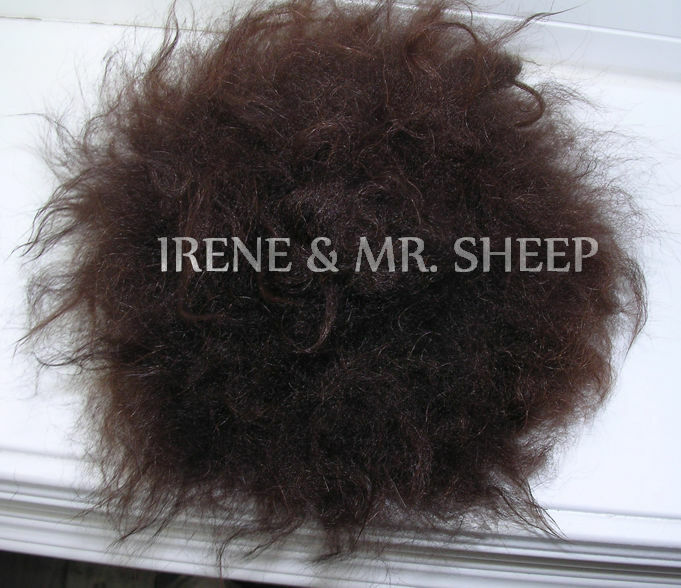 Fiber content: 80% Acrylic, 20% Polyester. 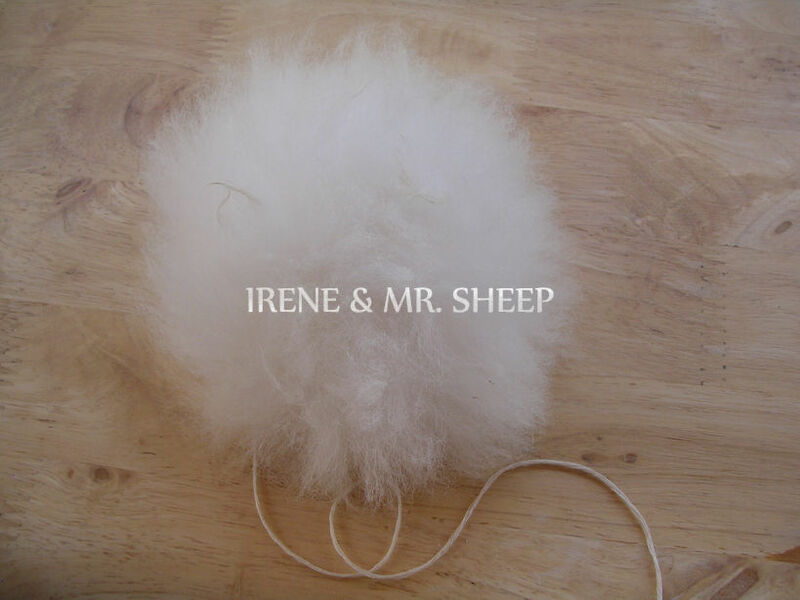 A white sewing thread (23 cm /9" length) is attached to each pompom. Size: approx. 10 cm (4") in diameter. Filling: 100% Acrylic. Care: hand or gentle machine wash on delicate cycle in cold water. No tumble dry. Packaging: packed in sealed, small plastic bags. Usage: hats, poncho ties, scarf/stole/shawl edge embellishment. Length /each piece: 160 cm /63", Width: 12 cm /4-3/4". Care: Dry clean, no tumble dry, no iron. Packaging: each piece is packed in a plastic bag with adhesive strip. 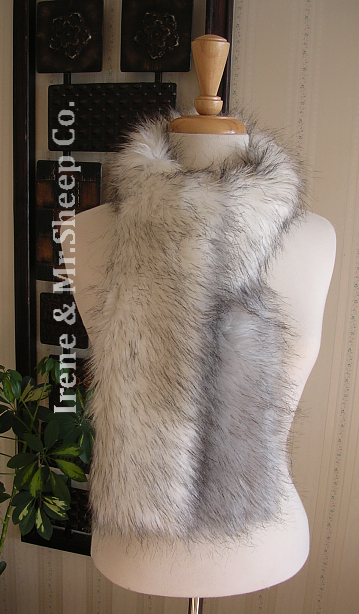 Usage: handbags, borders, collars, or two tapes can sewn together to make a Two-Sided Fur Scarf © Irene & Mr. Sheep: right-side tape in col 02 Off White, reverse-side tape in col 01 Silver Grey (or in the same col if desired).